Neuropathy is a condition that affects millions of individuals worldwide. 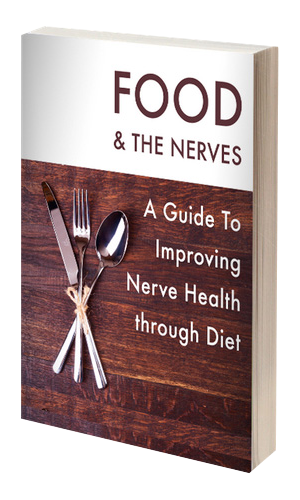 Neuropathy is a collection of conditions that takes place when nerve damage occurs; this nerve damage can be the result of traumatic injuries, infections, metabolic disorders, as well as exposure to toxins. The majority of nerve damage is caused by things like alcohol abuse, chemotherapy, physical trauma or injury, tumors, autoimmune diseases, as well toxin exposure. However, in some circumstances the causes of the neuropathy is unknown. When neuropathy occurs the most common cases involve what is termed as peripheral neuropathy which is when the peripheral (or extremities) nerves of the body around the arms, hands, legs, and feet are affected. Peripheral neuropathy is most often a complication due to diabetes. There are number of medical benefits from taking Alpha Lipoic Acid as research has shown it to be helpful with brain function as well as stroke. Other conditions that Alpha Lipoic Acid has been beneficial in assisting are diseases such as HIV, sciatica, cancer, liver problems, hepatitis, strokes, vascular disease, cataracts, glaucoma, multiple sclerosis, burning mouth syndrome, Dementia, Alzheimer’s, Chronic Fatigue Syndrome, as well as diabetes. Alpha Lipoic Acid improves these conditions by preventing cell damage, restoring levels of Vitamin C & E, as well as improving the function and conductions of the neurons specifically in diabetic patients. Alpha Lipoic Acid, also called ALA, is a fatty acid as well as an antioxidant that protects the cells within the body from destruction that would be caused by the oxidative effects of free radicals. Unlike other antioxidants that work within the body, Alpha Lipoic Acid is both lipid (fat) and water soluble which means it is much more easily absorbed by the body. Alpha Lipoic Acid has been used in Europe, specifically Germany, for years as a treatment option for peripheral neuropathy. Research has shown that Alpha Lipoic Acid can greatly reduce the symptoms of pain, sensitivity to touch, heat, and cold, as well as symptoms of burning, itching, tingling, and numbness that are associated with peripheral neuropathy in diabetic patients. Once the supplement is begun as a treatment method it may take several weeks for the full effect to take place, but once diabetic individuals begin to feel symptom relief from the peripheral neuropathy their lives are greatly improved. The one thing that diabetic individuals must be aware of is that Alpha Lipoic Acid can lower glucose levels when combined with other types of medications that are commonly used to treat diabetes, therefore it is vitally important for careful and diligent glucose monitoring to take place.